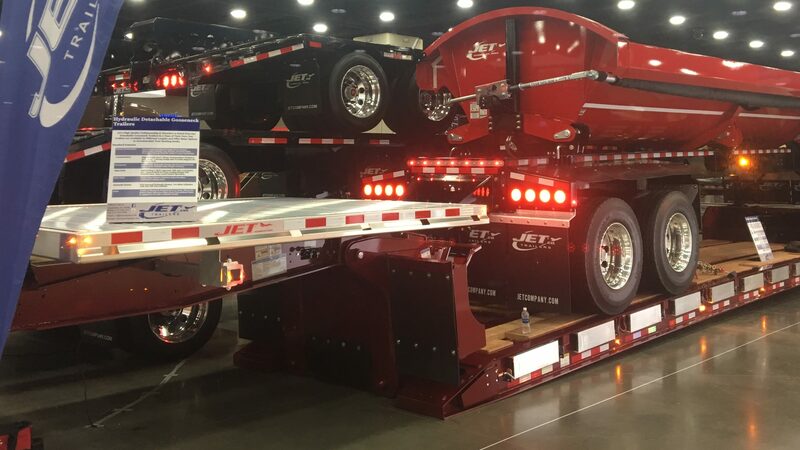 Jet Company manufactures quality grain hopper, drop deck, flatbed, detachable gooseneck and side dump trailers. Join a team-oriented, innovative, quality driven, successful company who value employees as their number one asset. Jet Company appreciates and values your skills and talents, and is determined to help our employees grow professionally. Jet Company offers highly competitive pay with paid holidays, vacation time, and a full benefits package. Please be sure to forward your resume, cover letter, and transcript (if applicable) to careers@jetcompany.com. Jet Company is an Equal Opportunity Employer. Career opportunities that we offer for manufacturing are as follows: machine operators, fabricators, assemblers, welders, paint prep finishers, painters, floor/final installers, line foremen, and supervisors. Career opportunities in the design/sales are as follows: drafters, engineers, sales account managers, customer service and office assistants. All opportunities are based out of Humboldt, Iowa. Current open positions are listed below. The Ability To Read Blue Prints, Problem Solve & Teamwork Is A Must. Design semi trailers and sub-assemblies. Design fixtures to assist in welding and assembly of trailers. Create, read and interpret 3-D models, blueprints, technical drawings and schematics. Assist sales and draft personal in developing the structural design of products using SolidWorks software. Confer with engineers and other personnel to implement operating procedures, provide manufacturing support. Recommend design modifications to improve manufacturing and production efficiency. Bachelor of Science in Engineering (preferably Mechanical, Agricultural or other related focus). Proficient with CAD – SolidWorks Preferred. Previous Engineering experience or schooling is required. Please include school transcript with resume. Ability to run semi-automated and robotic welding equipment. Operate an overhead hoist as needed. Skill and Welding Ability tested during interview process. Required to meet physical requirements: lift, pull & push, up to 75 lbs, over head lifting, kneeling, bending, squatting, twisting, climbing and on your feet the entire shift. Training on first shift until proficient to move to second shift. Maintain and enhance existing Dealership and Customer relationships. Prospect for new Dealerships in new territories and markets. Educate Dealerships and Customers on the features and benefits of our products. Some traveling required to visit dealers and attend trade-shows. Training will be provided for candidates who are willing to learn, no experience necessary.